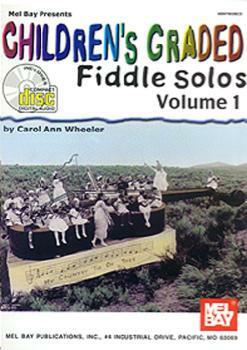 By Carol Ann Wheeler () - This book of fiddle solos is a companion to Children's Fiddling Method Volume 1. The tunes, presented first in their simplest form followed by progressively more difficult arrangements, utilize the skills and techniques introduced in the method book. While created for children, this music will also be enjoyed by adults who wish to gain an understanding of how to fiddle a tune. Teachers will find it a great teaching aid, as they can play the more difficult arrangements while the student chooses which ever arrangement suits their current playing ability. Fiddlers can "grow" into the tunes as they progress to higher skill levels and while this is happening, they will absorb the concepts and techniques of how to fiddle, which can be used in all fiddle tunes they play. All readers will delight in the eye-friendly layout carefully created so as help the student with ease of reading and to eliminate the intimidation that frequently occurs when less experienced players read tunes with lots of notes.